The Japanese superbike manufacturer, Kawasaki is super excited to launch the new touring bike, Ninja H2 SX, at EICMA 2017. The company launched the teaser video for a super-charged motorcycle and the bike is resembling like a touring superbike builds on the basis of Ninja H2. The teaser has got so many attraction as this is the first ever touring motorcycle going to be super-charged one. Bike-lovers will get tonnes of power and smooth fuel consumption, which will make their pocket happy. The Ninja H2 Tourer is equipped with an identical engine to the standard H2, and the engine will churn out 200 BHP in the low and mid-range. The bike has put on the Kawasaki’s variable boost super-charger technology which is first in the range for the company. The concept of variable super-charger technology was revealed at Tokyo Motor Show, which consists small blades merged to a continuously rotating axis on the inlet to regulate the force of air into the supercharger when the rider accelerates input. Kawasaki is all ready with the latest generation offerings to support electronic aids such as traction control, ABS, wheelie control, and exceptional riding modes to amaze the riders. Apart from this, the rider will enjoy the new setup made by the company like six-axis inertial measurement unit(IMU), satellite navigation feature, heated palm grips and seats for better riding experience, and more of touring equipment. 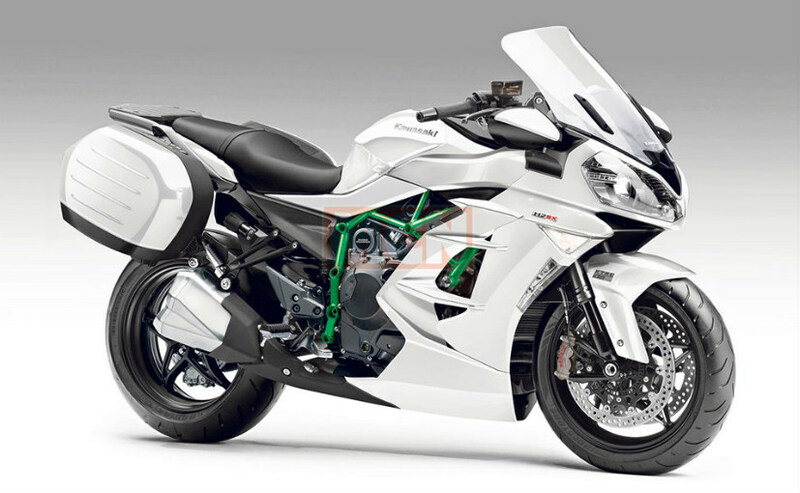 The Kawasaki Ninja H2 SX will also compete with new Honda Goldwing Ducati Multistrada 1200 S, and BMW K1600GTL.